Michael is a 24-year-old who has cerebral palsy and long-term resident of the Carrigmore Residential Home for the Disabled, run by the formidable Eileen. 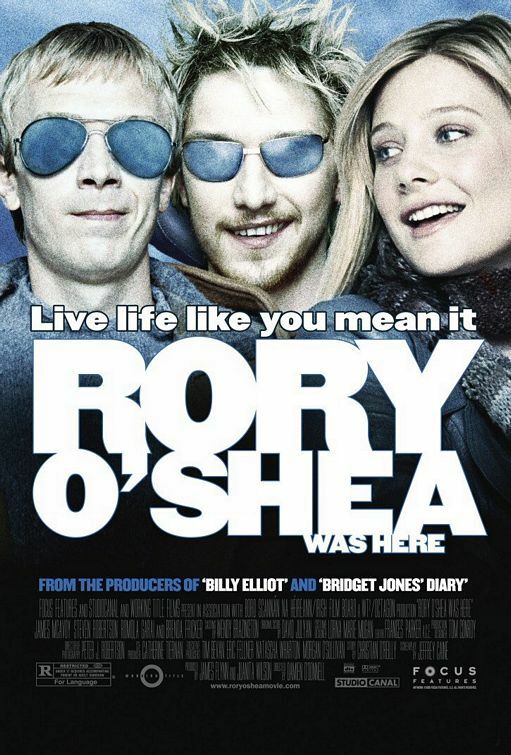 His life is transformed when the maverick Rory O'Shea moves in. Michael is stunned to discover that fast talking Rory, who can move only his right hand, can understand his almost unintelligible speech. Rory's dynamic and rebellious nature soon sparks a flame in Michael, introducing him to a whole new world outside of Carrigmore. A Lively Demand for Freedom for the Disabled, 8 February 2005 Author: noralee from Queens, NY "Rory O'Shea Was Here (Inside I'm Dancing)" is a marvelous lead showcase for the talented James McAvoy who up to now has been a cocky secondary character in movies such as "Wimbledon" and memorable television such as "State of Play." But there his bad boy brashness is supported by a whirlwind of movement and sensuality whereas here all he can use in portraying a spark plug with Duchenne muscular dystrophy is his voice and expressions. His "Rory" takes hold of a condescending home for "special people" the way Jack Nicholson shook up the mental ward in "One Flew Over the Cuckoo's Nest." He is a rebel with a cause -- freedom.Steven Robertson as the pal he dynamites out of perhaps too simple complacency is achingly convincing as a young man with cerebral palsy who gradually learns he has a potential to fulfill, emotionally and intellectually.The film is particularly good at creating very individual characters with specific family and class situations, as well as making good use of the Dublin environment.While there are some clich�s along the way, as well as a few overly convenient plot points, the film with humor, liveliness and poignancy (and a cool soundtrack) sticks our face in large issues about the helping bureaucracy, the need to individuate independent living opportunities, with particular attention to age differences, and our attitudes about the physically disabled.